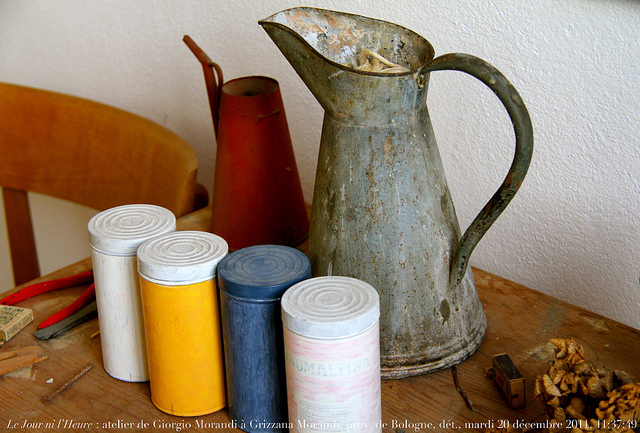 Beginning in 1913, Giorgio Morandi often spent his summers in the cool altitudes of Grizzana, a village of attractive stone hamlets spread over the mountains, including part of the Monte Sole (see Marzabotto). According to Morandi, these were the most beautiful landscapes in the world (featured, along with his pictures of Grizzana, in this short video in Italian). For something completely different, head towards Riola, where the turrets, loggias and bulbous, gilded neo-Moorish domes of the Rocchetta Mattei add an exotic touch to the mountain skyline. It took Cesare Mattei twenty years to build his folly on the foundations of a ruined castle. Born into a wealthy Bolognese family, Mattei (1809–96) was a co-founder of the Cassa di Risparmio di Bologna bank and made a count by Pope Pius IX. His hobbies were alchemy and travelling: he was especially impressed with the Alhambra and Moscow, which he combined together in his dream castle. He is best known, however, as the inventor of electrohomeopathy, as a non-surgical cure for cancer, based on the curing power of 'natural electricity' in plant extracts. His claims of remarkable cures attracted world wide attention and numerous Russian aristocrats to his castle although most doctors condemned him as a quack. Others credit him as the inventor of placebos. In 2005, the dilapidated Rochetta was purchased by the Cassa di Risparmio, and restored; in 2015 it reopened for guided tours in Italian, €10 adults; €5 children by booking ahead (the email addresses and up to date details are on the Rochetta's website. There's more. 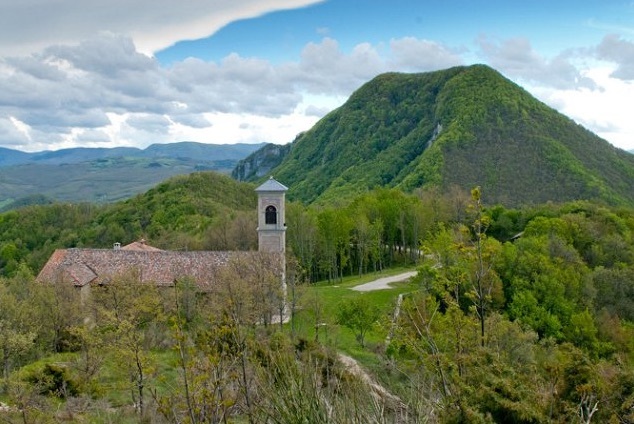 From Grizzana, it's a 30 minute drive (SP 73 and Via Montovolo) to the 11th-century sanctuary of the Santuario della Beata Vergine della Consolazione di Montovolo, with a famous black statue of the Virgin, an unusual 14th-century marble Crucifixion and fragments of frescoes and sculptural work by the Comacene Masters, who rebuilt the church in the 13th century (open May-Sept Fri-Sat 10am-5pm; June-Aug also on Thurs; website. There is something uncanny about the wooded flat topped, pyramid-shaped Monte Vigese, which was sacred to the Etruscans, possibly even the 'navel' of their world; the crypt of the sanctuary at Montovolo, according to at least one researcher, Professor Graziano Baccolini, may even be an intact Etruscan shrine. Getting there: 25 trains a day leave Bologna Stazione Centrale for Grizzana Morandi and take 22 minutes. 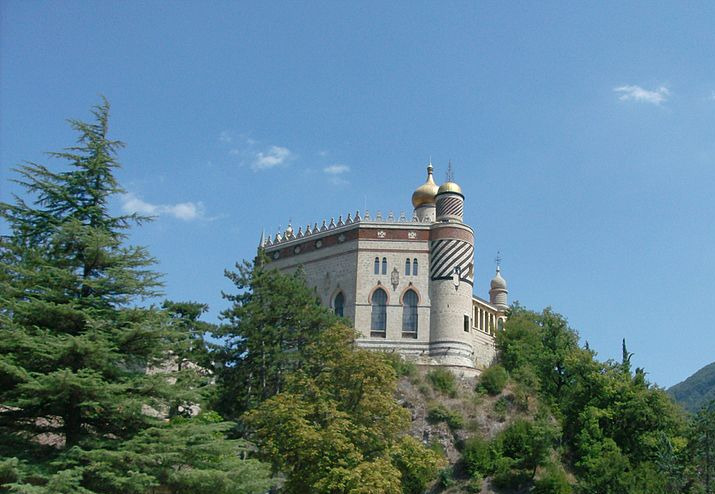 For the Rocchetta Mattei, take the train to Riola on the Pistoia line.